The Young and the Restless spoilers are spreading some real nasty rumors about town Real Estate broker Joe Clark [Scott Elrod]. We all know Joe came to Genoa City a few months ago to pursue a land development deal that would have the Warehouse District of the town demolished and new more modern buildings built in its place. This land includes Crimson Lights coffeehouse owned and operated by Dylan MacAvoy [Steve Burton], the boyfriend of Joe’s ex wife Attorney Avery Bailey Clark [Jessica Collins]. The majority of the GC residents are against losing this historic section of town and do not want a Redevelopment project. The news that Victor Newman [Eric Braeden] owned that particle of land was surprising enough to his entire family. 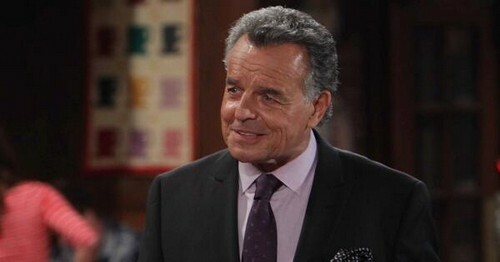 But now rumors are teasing that town villain Ian Ward [Ray Wise] hired Joe Clark and returned to Genoa City and orchestrated the whole deal to bring Victor Newman and Newman Enterprises down to its knees! Ian supposedly hired Joe for two reason. First to make waves with Avery and Dylan’s engagement and impending marriage. And secondly, to put financial stress on Newman-Chancellor so Victor may have to sell off parts of his empire just to keep afloat. This newest YR development that Ian Ward is returning to Genoa City to cause more havoc, will be more devastating news for an already out of control Nikki Newman [Melody Thomas Scott] and the whole Newman clan. This time around, Ian is certainly plotting his revenge on Genoa City’s finest and most powerful. The Young and the Restless spoilers rumors are also saying that once Dylan becomes aware of Joe’s involvement in bringing back the cult monster to his mother’s life, Dylan will make good on his promise to kill Joe. Do you think Dylan will be able to go through with his plan to murder Joe? Or will Avery save Joe and step in front of the bullet herself? 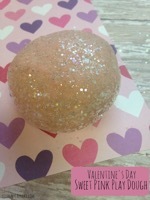 February has always been considered a sweeps month for Soap Operas. This coming February promises to be one of the best sweeps months for The Young and the Restless in many years. You’re not going to want to miss a single day. The Young and the Restless Spoilers: Jess Walton Quitting Y&R – Dylan and Avery Split – Phyllis Kills Kelly – Summer Cheats? The Young and the Restless Spoilers: Abby Steals Love Potion, Adam Stuck Married To Sage For Three Years, Avery Betrays Dylan? The Young and the Restless Spoilers: Nick Exposes Adam As An Impostor – Knows Gabriel From Attending The Academy Together?